Raw 4 Paws ® is a PREMIUM QUALITY raw diet for dogs and cats, that has been developed and formulated by the Raw 4 Paws Team in co-operation with our own certified pet nutritionist and a veterinarian, knowledgeable in pet nutrition. Raw 4 Paws ® offers VALUE FOR MONEY – 5 nutritionally balanced varieties in convenient packaging for all sizes, breeds, ages and budgets. All ingredients are sourced locally, only fresh produce, and wherever possible, free range Australian meats are used to assimilate a balanced raw diet for dogs and cats, as close to nature as possible. Raw 4 Paws ® contains NO preservatives, NO harmful chemicals, NO irradiated products, NO grain, NO yeast, NO dairy products, NO fillers, and NO rendered products. ONLY Natural Ingredients, Vitamins, Minerals and Enzymes are used. Raw 4 Paws ® is AUSTRALIAN OWNED, our products are manufactured under Safe Food Qld accredited standards, Safe Food Number 119209-002. We are very passionate about pets and are here to provide the best possible diet for your pets, and our own pets too. Each of the Raw 4 Paws recipes contains only meat, ground bone and organs of one animal, otherwise known as a single protein. All meats and ingredients are sourced locally from human consumption facilities. Only fresh produce, and wherever possible, free range Australian meats, are used to assimilate a balanced raw diet for dogs and cats, as close to nature as possible. Although fruit and vegetables are of lower importance for a wild carnivorous diet, they still play an important role for our domesticated dogs. 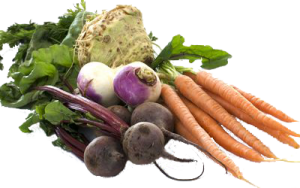 All Raw 4 Paws recipes include market fresh, locally sourced produce in the correct ratio, including celery, leafy greens such a spinach, carrot, as well as fresh seasonal fruit such as apples and pears including skins. The skins are an excellent source of non-soluble fibre while the pulp provides the necessary soluble fibre as well as natural vitamins and minerals. Raw 4 Paws varieties are loaded with REAL natural vitamins, minerals and live enzymes. Essential Fatty Acids, the “Omegas”, EPA and DHA, naturally occurring vitamins A and D in form of cold water fish derived oil as well as plant derived oil (medium chain Triglycerides with anti-fungal, anti-viral and anti-bacterial properties) in the correct ratio. These essential fatty acids are important to aid improved digestion, nutrient absorption and healthy, functioning cells. 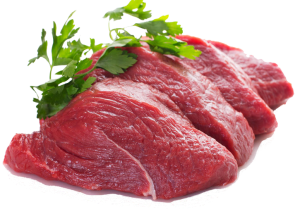 Beef is an excellent choice for cats and they love the taste. 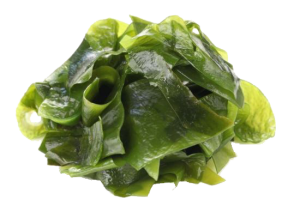 Excellent natural source of iron and excellent for cats suffering from anaemia. Raw 4 Paws Beef contains beef heart which is a natural source of Taurine which is an essential health supplement for cats as they can’t produce Taurine themselves. Cats are obligate carnivores so this recipe is made without fruit and vegetables. Features: 8 x Individually wrapped Beef Patties of 200g each. For cats or kittens under 4 kg feed approximately 50g or 1/4 patty per day. For large cats over 4 kg feed approximately 100g or half patty daily. Each variety of Raw 4 Paws only contains meat, ground bone and organs of the one type of animal (i.e. only one type of animal protein). All meats are sourced locally from human consumption facilities. The recipes include market fresh, locally sourced produce including celery, leafy greens such a spinach, and carrot. Loaded with real natural vitamins, minerals and live enzymes. Although fruit and vegetables are of lower importance for a wild carnivorous diet, they still play an important role for our domesticated dogs. 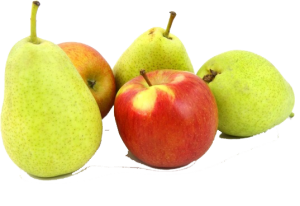 A smaller percentage of the recipe is made up of fresh seasonal fruit such as apples and pears, including skins, sourced at local markets. The skins are an excellent source of non-soluble fibre while the pulp provides the necessary soluble fibre as well as natural vitamins and minerals. Chia seeds have 3 times the amount of Omega-3 fatty acids as salmon. Omega-3 is important to balance out Omega-6 fatty acids and promotes a healthy immune system, skin and coat, joints, growth, as well as reducing inflammation. Chia seeds contain more calcium than whole milk, more iron than raw spinach and more magnesium than broccoli. 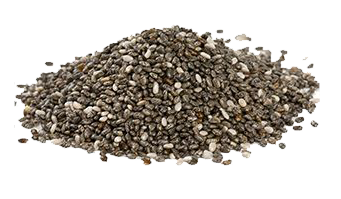 Chia seeds are non-allergenic and an excellent source of phosphorus, potassium, copper, iron and zinc. 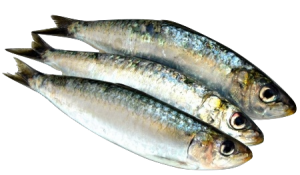 Is an excellent source of vitamin K, folate, vitamin A, vitamin C, vitamin E, Vitamin B3 (Niacin), pantothenic acid, iodine, calcium, potassium, magnesium, iron, manganese, copper and zinc as well as being a source of Omega 3 & 6. It may aid in a healthy coat, colour and vitality. Raw 4 Paws contains EPA and DHA, naturally occurring vitamins A and D in form of cold water fish derived oil as well as plant derived oil (medium chain Triglycerides with anti-fungal, anti-viral and anti-bacterial properties) in the correct ratio. 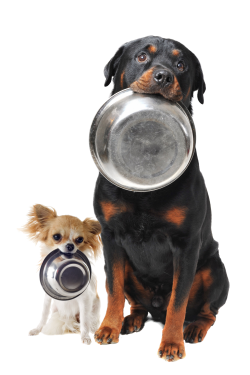 For Raw 4 Paws feeding recommendations please click here.